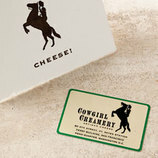 When Cowgirl Creamery got its start, the goal was to make wonderful, fresh, organic cheeses – cottage cheese, crème fraiche, fromage blanc, and quark. When Fons Smith, a dairy scientist from the Netherlands, came to intern at Cowgirl Creamery, he helped us develop our first aged, soft-ripened cheese. We wanted a flavor that was full and delicious but not challenging, something accessible to America's palate. Many incarnations later, Mt Tam was born. Red Hawk, the creamery’s first washed-rind cheese, was next and won the Best of Show at our annual American Cheese Society competition in 2003. In the years since, we have continued to create award-winning cheese under the direction of our head cheesemaker, Maureen Cunnie. Today we have four seasonal cheeses: Chimney Rock for fall, Devils Gulch for winter, St Pat for spring and Pierce Pt for summer. They are all made with certified organic milk from John Taverna's Jersey dairy using the same recipe, with different rind treatments. This is a way for us to highlight the seasonal changes in milk from one source. As our cheese offering grew, our available creamery space disappeared. We built a second location in Petaluma, so that we could expand our aging rooms and make our production room a little more efficient. 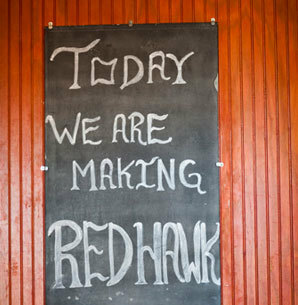 Now our original Point Reyes creamery is focused entirely on Red Hawk. After all, we can’t make it anywhere else. We opened our first retail store on California and Fillmore in San Francisco, in 1998. 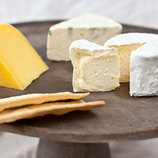 We rented a 400 square-foot storefront at the former site of California Street Creamery and called it Artisan Cheese. Three years later, we were offered a space at the Ferry Building and jumped at the chance to be a part of the exciting new project. We were the fourth company to sign a lease, the first three being Peet’s Coffee, Acme Bread and McEvoy Olive Oil. 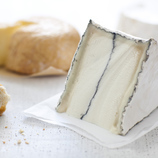 We decided call our new SF store Cowgirl Creamery, simply because everybody loved the name. A few years later, we opened a replica in downtown Washington, DC to serve our fans on the east coast. What started as a desire to make cheese and help cheesemakers thrive has grown into something beyond our wildest dreams. Our toughest job now is trying to keep up with all the great artisan cheeses emerging, particularly in Northern California, Vermont and Wisconsin. We couldn’t be happier.